A search was done to find a company that could perform the work needed. Three companies were invited to bid on our project. A bid from D&R Masonry Restoration, Inc., out of Milwaukie, Oregon was submitted for $69,125. 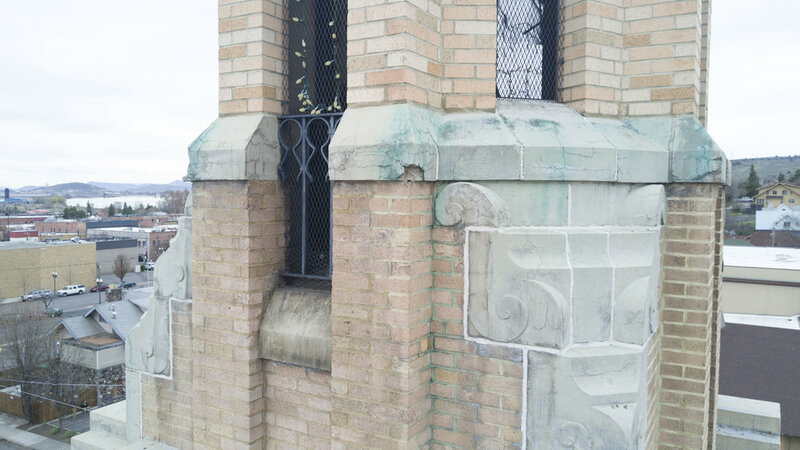 The Archdiocese of Portland recommended D&R Masonry. This company does work on their buildings and is currently completing work at The Grotto, there in Portland. In order to mitigate any further damage we cannot leave the work for another winter. The Finance Council has voted in favor of accepting the bid from D&R Masonry. 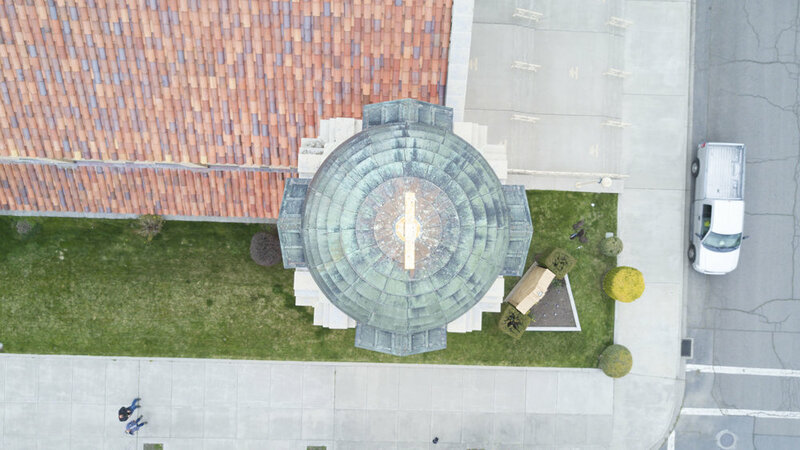 It is our reasoning, that with the good recommendation from the Arch Diocese of Portland, they are a reputable company and have given us a fair bid. Since we started the Repair and Maintenance Fund in August of 2016, you the parishioners of Sacred Heart, have graciously given over $78,000 to support projects such as the new roofs over the school classrooms and the office and the new sound system in the Church. I have faith that God, with your help, will provide the funds needed for this project. There will be a “balance needed” for the repair each week in the bulletin. Please continue to pray for our parish and thank you for your continued generosity. Our trip to the Idaho Catholic Youth Conference was a success! Our youth had so much fun at the concerts, really engaging talks by Fr. 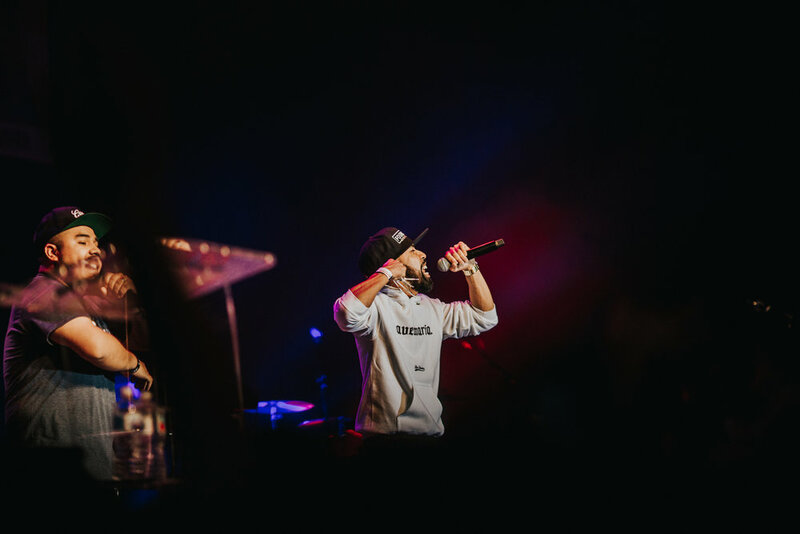 Rob Galea and Danielle Rose, and many stops along the way! Here are some of the images from the trip! 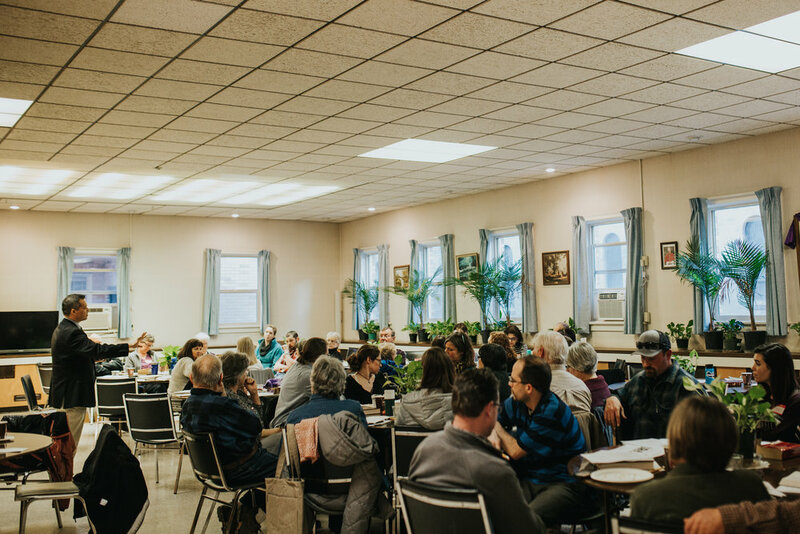 Here are some quick snaps from our 2018 Sacred Heart Lenten Mission with Andrew Steele! This was truly an edifying experience as we learned about the nature of Grace and how it applies to the many aspects of our lives. In between the talks, we all joined Fr. 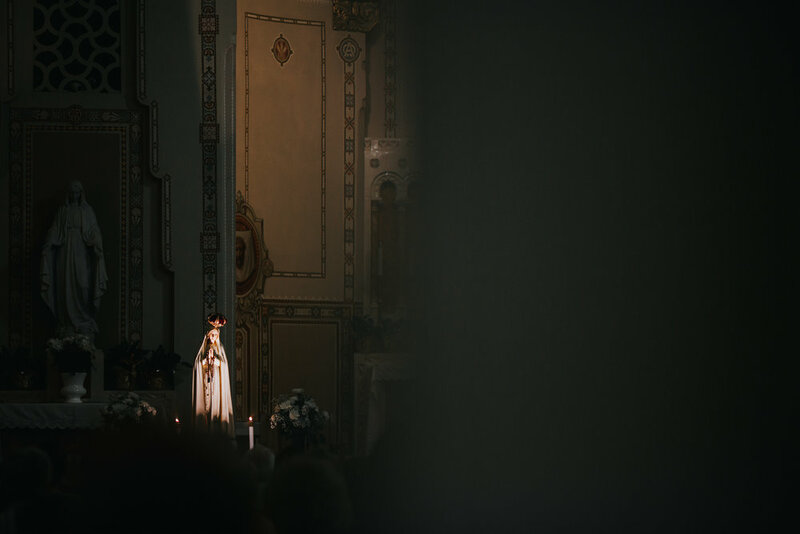 Roga into the church for confessions, adoration of the blessed sacrament, and benediction, as beautiful gregorian chant echoed throughout the church. We can't wait for another opportunity to do this in the future! Is there another topic you'd like to learn about for a future mission? Let us know! 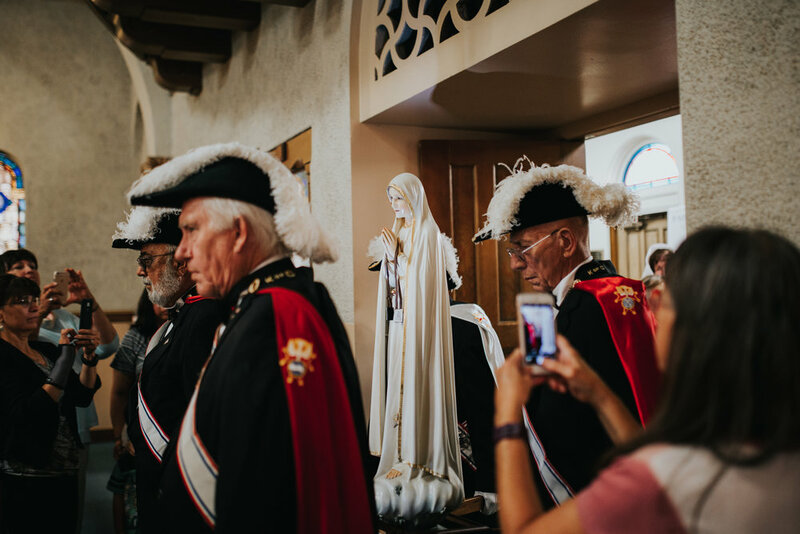 There was quite the turnout for the Our Lady of Fatima tour to Sacred Heart! It was truly a once-in-a-lifetime experience, as we visited with the statue and listened to an inspiring speech by Patrick Sabat, Custodian of the statue. We had a total of 298 people show up for the Masses and Procession, 163 for adoration, and 98 for the rosary! 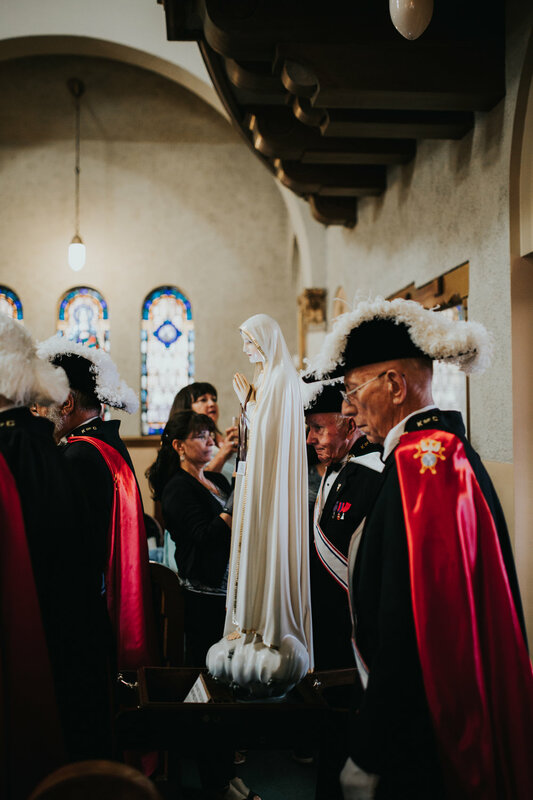 There was also a seemingly miraculous occurrence as the statue was being carried out in preparation for the procession into the church. Immediately as they were preparing to remove her from the bus, it began pouring rain with loud thunderstorms all over the Klamath area. 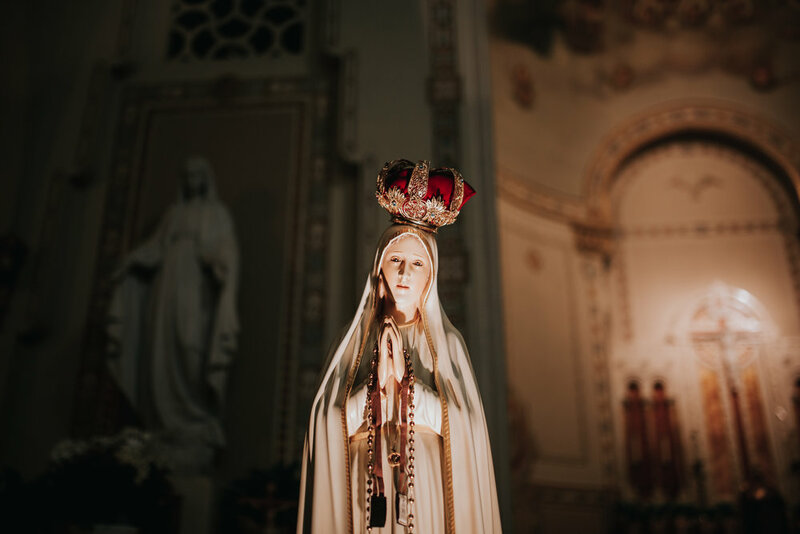 Even more interestingly, as Patrick began to place the statue of Fatima onto the table for the procession, the rain completely stopped for about two minutes as some light shined through the stormy clouds above Sacred Heart! 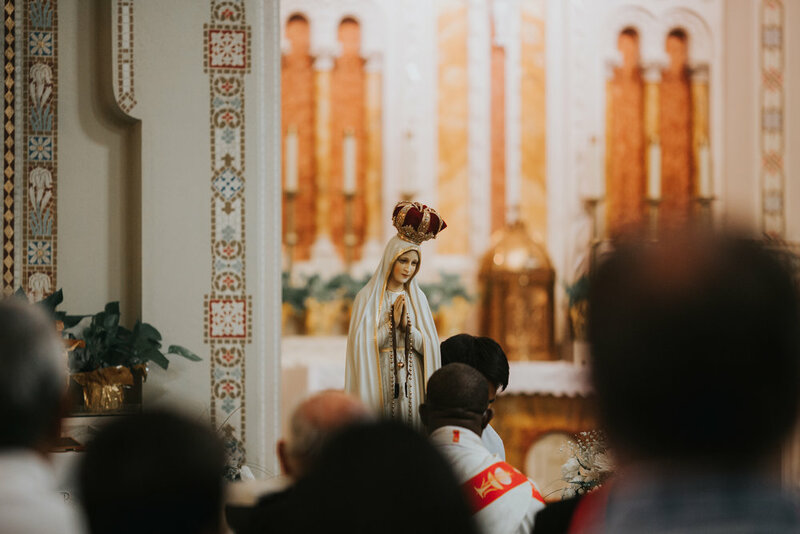 Her visit was certainly a fruitful one, as there were both local and out-of-state visitors who were determined to stay throughout the night and into the morning for prayers to Our Lady of Fatima and to adore Christ in the Blessed Sacrament. Check out some pictures from this amazing visit! Join us for Mass, Music, Food, Games, and Activities! Planning for the Sacred Heart Parish picnic and outdoor Mass is underway and it should turn out to be a great time. The Catholic Daughters have generously made a donation to help cover the cost of the meat and The Knights of Columbus and the Hispanic Commission are cooking. All that is needed is for you to join us. Each family is asked to bring either a side dish, salad or a dessert. Don’t be afraid to bring a healthy side, they disappeared very fast last year. There will be folding chairs available, but you can always bring your own lawn chair. If you have a lawn game that you would like to bring, we highly encourage it. If you aren’t sure where this park is, please ask someone at Mass or call the office for directions.